While 2014 is said to witness smartphones with Quad HD resolution, just a few such devices have come so far. The major reason for the delay is said to be the display itself. As such, AU optronics has released its Quad HD AMOLED display. 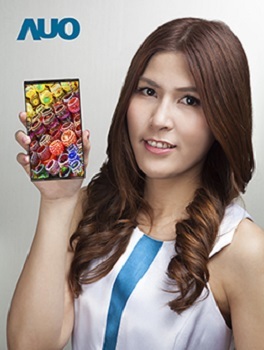 AU Optronics, which is a Taiwan based display panel maker, claims to have successfully developed the world’s highest-resolution 5.7-inch WQHD AMOLED panel. The panel has resolution of 2560 x 1440 pixels, which results in a pixel density of 513 ppi, which readily is the highest in that screen size range. Interestingly, Samsung also is apparently a client for AU Optronics, and could very well use such displays for the much rumoured premium version of the Galaxy S5. The same display would also be seen in the next version of the Galaxy Note. Meanwhile AUO is also working on a 6 inch Quad HD AMOLED display.